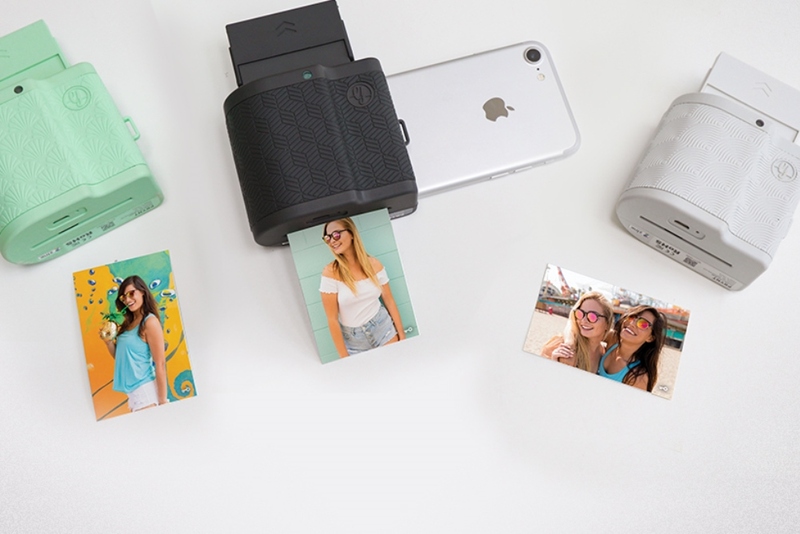 Instant photography company Prynt‘s mobile printer turns phones into instant cameras. Prynt Pocket is a small device that attaches directly to your phone and gives you the option to embed augmented reality videos in order to bring photos to life. After taking a photo, you have the option to record a 10-second video. The Prynt app lets you edit and enhance photos before printing using filters, frames, tex, and memes. Once you’ve shared photos with friends or family, they can use the app to scan them, unlock hidden video clips and voila – they can watch them begin to move, adding magic to any moment. Prynt Pocket comes in three colors (cool grey, graphite and mint) and uses inkless paper with adhesive backing for long-lasting, tear and smudge resistant photos that can be stuck anywhere. Users can also share their photos and video creations on social networks, as well as print their favorite images from Instagram or Snapchat directly from their phone.